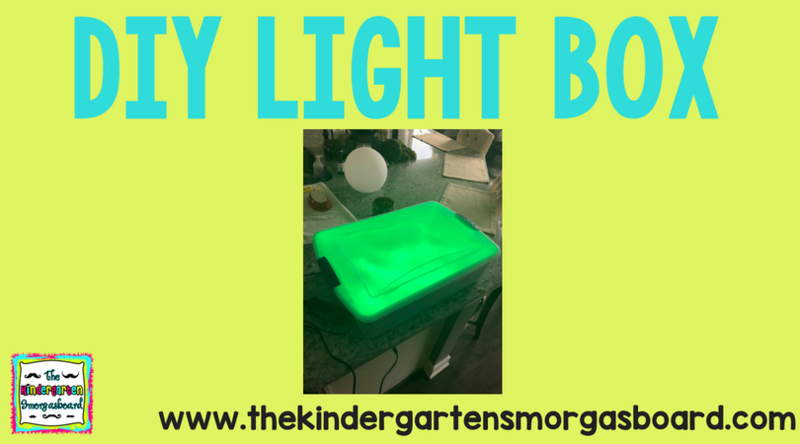 Today I’m excited to show you how to make a DIY light box for your classroom! I have seen light tables and light boxes in classrooms and love the idea but didn’t want to spend the money. So off to Pinterest I go. And I find this pin from TeachPreschool. She has laid out how to make a light box so I went with it. I did make a few tweaks for my own sanity. Step 1: Spray paint the inside of the box metallic. This helps reflect the light up and out! Do not spray the lid with the metallic paint. Step 2: Spray paint the lid with the frosted spray paint. This keeps the light from being too bright! Step 3: Drill a hole in the bottom corner of the box for the rope light. Slide the slide through. Then place the lights in the box. Run the power cord through the hole that you drilled. And that’s it! BAM! Light box! We love using the light box in our classroom! This is such a fun and engaging way to meet tons of standards!!! A Kindergarten Smorgasboard FIve For Friday FREEBIE! 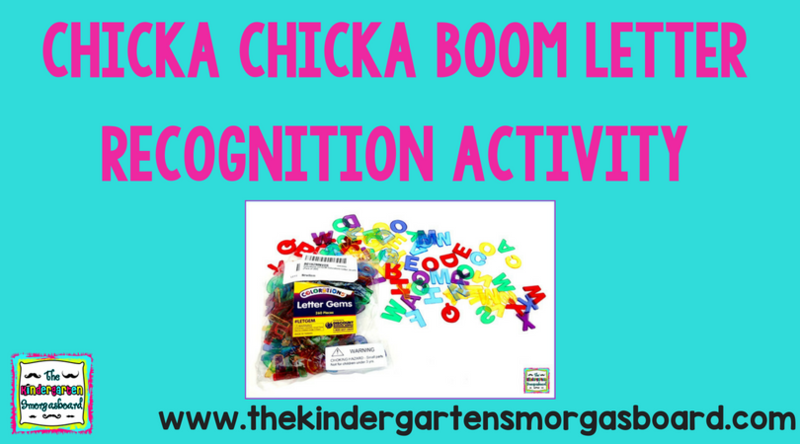 A Kindergarten Smorgasboard Tasty Treat Tuesday And Submisison For Smorgie! “So I like to pin things on Pinterest (DUH!) and then in the summer I like to make stuff (DUH!)”. Love! I'm so glad that I'm not alone 😉 I love this light up box. You are the bomb-diggity. Well, a glitter-bomb-diggity, right? Have a WONDERFUL summer! Just what I needed – more linky parties! lol Maybe some of the fun summer linkups will help keep me productive this summer! LOVE the light box! I have pinned your idea and need to go back through my closets and cabinets to see if I still have some of my old overhead centers! Love this! I will be making it ????!! Sooooo…..why am I in love with this light table??!?!?! And sadly, I don't want it for my classroom, but for me!! Oh, I'm so doing this!!! You are amazing. That is all. How do you do it all and then some?! Ba ha ha! I still have an overhead projector that does the same thing!! Thank you for all of the ideas!!! Ooooohhhh… I WANT!! Such a great idea! What a great idea and what kid (no matter what age) isn't going to like experimenting with this. This will be perfect for my “light” unit in first grade too! OH, I pinned it for you in a few places on Pinterest too! My husband is soo not going to like you! Lol. I'm going to keep him busy one afternoon making a couple of these for my classroom and for our 6 year old. I'm the creative type so I'll make the manipulatives but he's definitely in charge of the table making! Awesome post–especially love the step-by-step photos for us visual types. How do you block out the light in your classroom to use this? Like, do you have a certain little area that's a “fort” to block out the light? Or is this a light's out center? I have been dying to ask since I saw over the summer! It's bright enough that the lights can be on. I have this on the floor by a wall across the room from the window! Do you spray the underside or outside of the lid? Thank you! It was until I frosted it! Hey Mr. Greg and Mr. Mister! Do you still use the light box in your room/stations? Hi Greg! I am interested in making a light box for my classroom. Does it still work and light up in the classroom even if the lights are on? Thanks! Hi! Do the lights inside the box ever get to hot? Did you leave air holes for ventilation? Any experience in using a white or light blue lid? I am having trouble finding a suitable sized container with a clear lid. TIA! I’ve never used a colored lid, I’m not sure how well the light will filter through. How do you adhear the letters and numbers and things to the cups? Hi!! Is there anyway you can tell me the brand of box you used? And about what size it is? Trying to find one! Ok so I zoomed in and I think it was a sterilite box. So just need a size. Thanks guys! The link for the LED lights takes you to lights that have two rolls? Do you need both rolls or is one sufficient? The link for the LED lights is a set of two rolls of lights. Are two rolls needed or is one sufficient?